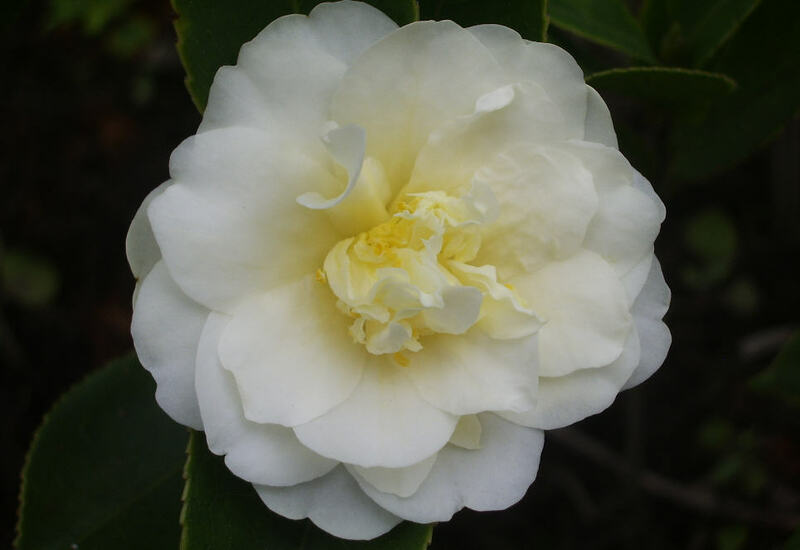 Beautiful, pale, buttery yellow, semi-double, slightly fragrant flowers adorn this plant in late winter to early spring. This fast grower is perfect for brightening up a shady woodland garden. Its glossy, dark green leaves and fragrant, ruffled flowers are plentiful enough to cut and bring indoors. Mid to late season bloomer. Evergreen.